A popular destination since 2000, The Orchard promises to provide you the highest quality seasonal dishes using the finest ingredients available. 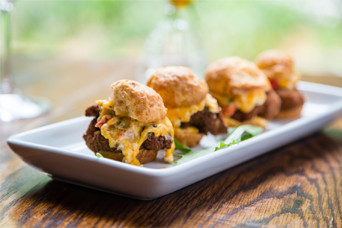 Our extensive menu consists of American Cuisine with a Southern flavor. 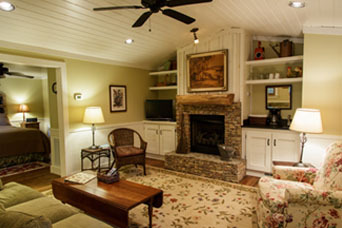 Set in a 100 year old farmhouse, the dining ambiance is rustic elegance with mountain charm. Several different dining rooms, including inside dining and outside dining on the porch or patio, all overlook the apple orchard, lawn and gardens. Admire the artifacts of yesteryear that adorn the walls of the building. Friendly service with attention to detail will compliment every facet of your meal. These are the reasons people bring their guests back to The Orchard year after year. 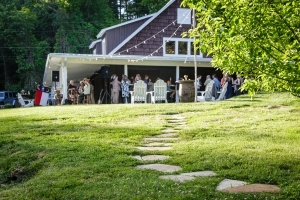 Our new events barn is the perfect venue to host your special event. Ideal for rehearsal dinners, wedding receptions, wedding welcome parties, birthday parties, family reunions, and more. 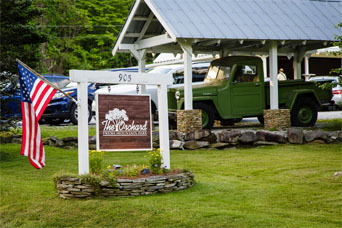 Since 2000, The Orchard has been serving the highest quality seasonal dishes with an extensive menu of American Cuisine and Southern flavor. Set in a 100 year old farmhouse, rustic charm is paired with friendly service to compliment every facet of your meal.